How would you rate your experience with Poshmark ? 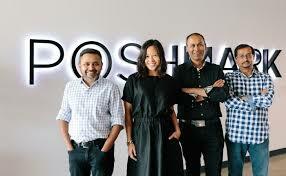 Poshmark was founded by Manish Chandra, Tracy Sun, Gautam Golwala, & Chetan Pungaliya in 2011. The company operates a mobile phone app which allows users to sell their gently used items and ship them to customers anywhere in the US. Poshmark takes a 20% commission from items sold. Sellers can have their accounts suspended or completely removed from the site if they take sales offline or to a competitor. While some people have claimed to make several thousand dollars in a single month, (with one seller hitting $1 million in sales) others say that a lack of ratings or feedback from buyers leaves clients open to fraud. 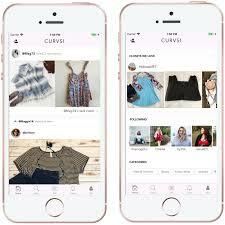 Poshmark stated in August 2018 that sellers had made a combined income of $1 billion since the app was introduced. Currently, the app is only for US users, but that might change in the future. Company headquarters are located in Redwood City, California. Question 1: What is the phone number for Poshmark? Answer 1: The phone number for Poshmark is (650) 262-4771. Question 2: Who is the CEO of Poshmark? Answer 2: The CEO of Poshmark is Manish Chandra. Question 3: Who founded Poshmark? Answer 3: Poshmark was founded by Manish Chandra, Tracy Sun,Gautam Golwala, & Chetan Pungaliya in 2011.
so far now you have removed my authentic cartier pasha watch for 3000, also my La Mer 16 piece product for 225, and now my authentic Hermes Paris loafers for 900!!! The Cartier Pasha has been removed FOUR TIMES, you make money on my sales, what the heck is going on. You must be able to track who is doing this to me, I am furious. I did order an item through your website(order #c9209374b854e02348d6c5a), yet am feeling very guilty as I overspent and hoping way I can get a return shipping label so can return. I paid with credit card so hopefully can get refunded back to that account. I do work graveyard shift wed-sun 12-830am so be hard for me to get to some things right away, but if can get return shipping label can easily drop off at post office. Want to make sure Poshmark sees your comment or complaint?